HBO World Championship Boxing returns this Saturday when Adrien “The Problem” Broner (25-0, 21 KOs) defends his WBC lightweight title against Gavin “The Rock” Rees (37-1-1, 18 KOs) at the Boardwalk Hall in Atlantic City, New Jersey. The broadcast is set to begin at 10:30 PM ET/7:30 PM PT. The WBC super middleweight title “final eliminator” bout between Sakio Bika (30-5-2, 21 KOs) and Nikola Sjekloca (25-0, 7 KOs) will open the show. Broner is one of the fastest-rising stars in the sport today. A former WBO super featherweight belt holder, he defended that title twice before weight issues allowed for his move up to the lightweight division. Broner stopped Antonio DeMarco last November, in what was the signature performance of his career thus far, to win the WBC lightweight title. 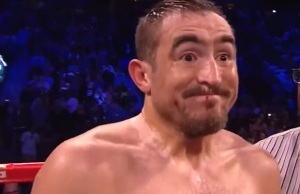 And since a controversial decision win over Daniel Ponce De Leon in 2011, Broner has stopped all five of his opponents including Jason Litzau, Eloy Perez, and Vicente Escobedo. Rees has fought outside of the UK only once in his career; a March 2012 TKO win over France’s Anthony Mezaache in France. 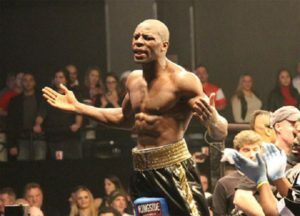 Rees, who is now 32 years of age, won the WBA junior welterweight title in 2007 when he out-pointed Souleymane M’Baye. His reign as title holder was short lived, as he was stopped by Andriy Kotelnik in his next fight. Since the loss to Kotelnik, Rees won the 2009 junior welterweight Prizefighter Tournament before shedding five pounds and collecting the BBB of C British and EBU lightweight belts. In his last fight, Rees stopped Derry Matthews in a rematch of their 2011 technical draw. Broner, only 23, has been compared to Floyd Mayweather Jr., and even received an endorsement from the pound-for-pound king as his eventual successor as the pound-for-pound best in boxing. Earlier in his career, the comparisons seemed premature, but in his last few fights Broner has shown a brilliant combination of speed and defensive maneuverability comparable to Mayweather, with heavy hands to go along with it. 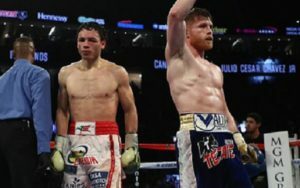 When he stopped Antonio DeMarco last November, Broner employed the shoulder roll defense and right-hand-counters that Mayweather is known for, showing he is worthy of the comparisons. In addition to the shoulder roll defense and straight right and uppercut counters, Broner throws his left hook multiple times, to both the body and head. Rees has an effective jab that he will use to get in range, allowing him to compensate for a somewhat short reach (64 inches). Once inside, Rees swarms his opponents , looking to suffocate their ability to start their offense. He isn’t very fast on his feet, but he cuts off the ring when in pursuit. Defensively, Rees is very hittable. He hides behind his guard at times, but he isn’t especially dedicated to it. Adrien Broner likes to control the pace of a fight and stake his claim to the center of the ring. Rees was stopped by a light-hitting Andriy Kotelnik, so I don’t imagine he’ll go rushing in against a more heavy-handed Broner. 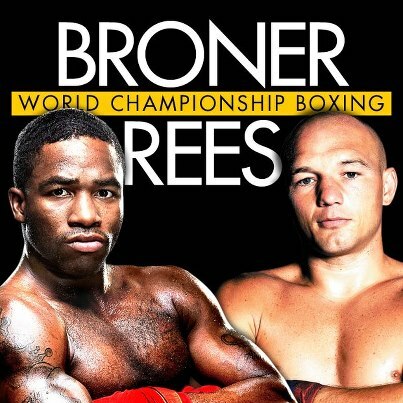 Look for Rees to start out slow behind his jab as Broner picks off his punches and counters him in the center of the ring. 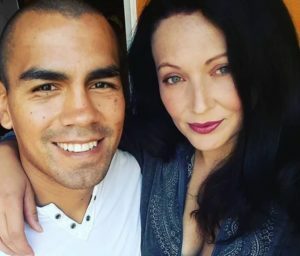 The brawler in Rees will likely appear in the third or fourth round, and he’ll look to force Broner along the ropes and rough him up inside. Broner, who like I said earlier likes to control the center of the ring, is very comfortable fighting off the ropes. As he twists and turns with Rees’ punches to the body and head, Broner will land the right uppercut and left hook to the body at will. Rees will go down fighting sometime in the seventh round, bruised, bloodied, and beaten.